Super Lice are normal head lice that have developed a resistance to the traditional over-the-counter medications and even prescription strength remedies. They have developed a resistance naturally because of the many generations of being in hair that is treated with the chemical poisons the industry has at its disposal. The poisons do NOT kill the lice eggs. They never have. That is why their instructions tell you to treat again after 7 to 10 days. The problem is that the head lice that hatch into hair that has residual poisons in it develop an immunity. And as the generations of head lice go by, the bugs become stronger and stronger. Eventually, it leads to where we are now – the normal brands you get at the store do not work. This has actually been happening for years. Here is a map provided by the American Chemical Society of the states with High Levels of Resistance to the most common treatments. 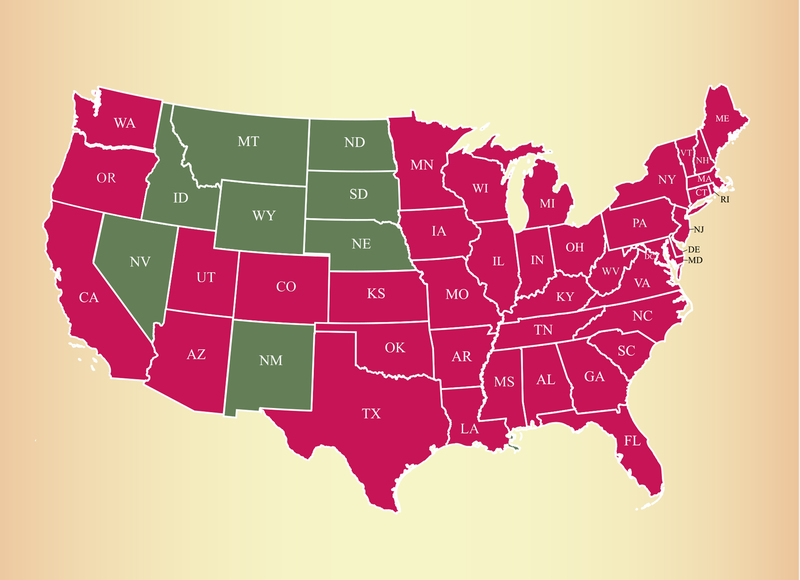 If you live in one of the states in red, you should not bother using any of the traditional or prescription treatments that are based on poisons. Not only do they not work to kill head lice – they also can cause serious harmful side effects in some people. You should choose a treatment that is based on natural ingredients that not only kills the lice, it also kills the eggs. We recommend products that shined in a recent study we conducted. The products are made by LiceKiller. NOTE: MothersAgainstHeadLice.org does NOT receive compensation for our recommendation. If you want to see our complete head lice treatment study you can learn more by clicking here.